This non-fiction ode to building a house from the ground up features six kinds of craftsmen and the 24 tools they use, accurately labeled. The answer to each inquiring refrain is revealed under a gatefold, seven in all, engaging the reader in an informative guessing game. With lyrical (and factual!) 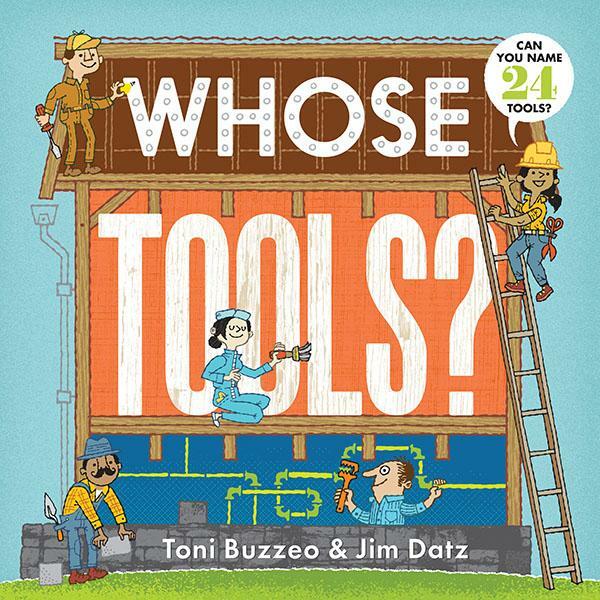 text by New York Times bestselling author Toni Buzzeo, and the expertly stylised art of illustrator and designer Jim Datz, this sturdily constructed board book is perfect for curious and playful young readers.